I’ve seen a few gift card holder projects popping up lately (for instance, Julie from Jaybird Quilts has one in Quilting Arts Magazine). Well, once again, I missed a niece’s birthday, and another is coming up in a week and a half (sisters), and since I have plans to make crafty things for them for Christmas, I thought I’d go with my fall-back gift card plan for now. 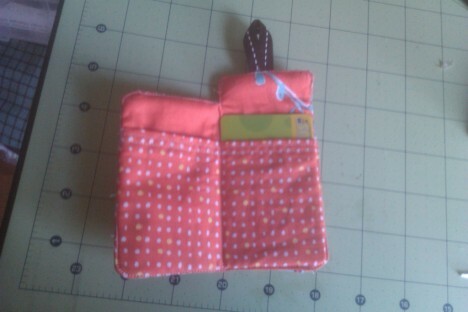 And, I was inspired to whip up a fabric holder for them. 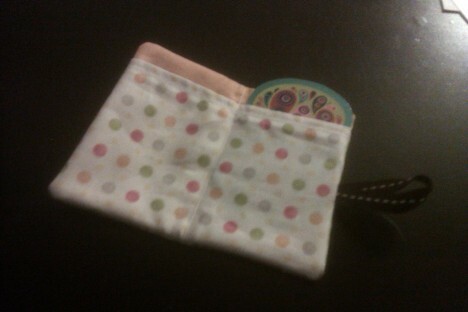 I made two different holders to add to their cards. 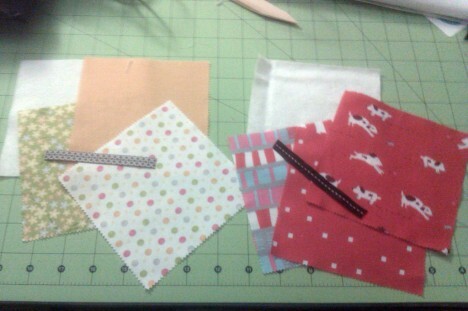 The green one is made differently, because I cut the notch out on the wrong side and didn’t want to have it open oddly. I like that style too. 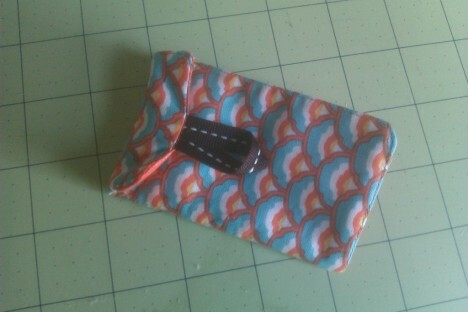 It’s a tight fit, but a great use of precut charm squares. You just cut an inch off the top of one and narrow hem that edge for pockets, then sew it to the inside charm right up the middle. The other charms and flannel are either cut down to 4″×5″ or have a 1″×2.25″ notch cut out of one side, depending on the style. 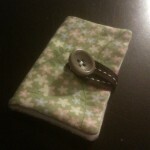 Then, layer it all together, with the right-side of the outer fabric facing the right-side of the flannel, background, and pocket charm stack, slipping the ribbon in the right place. 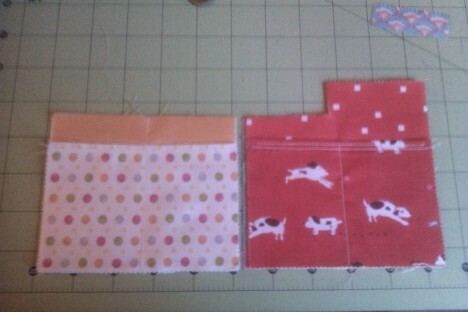 Sew all around with a scant ¼ seam (make sure it’s scant—it’s a tight fit for two pockets on one charm square!) 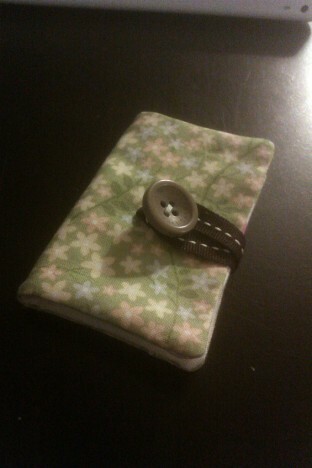 leaving room to turn, then turn, close the opening, sew on the button, and you’re all set. I didn’t even top-stitch or whipstitch the openings on the two I sent my nieces—I just fused them closed with Steam-a-Seam fusible web. I’m sure I’ll be making these again, after perfecting them a bit. I’ll provide a real tutorial at that point. Now I need to dream up or find some reasonable projects for my two nephews… first for Christmas, then for their birthdays, which thankfully don’t come again until next year.